 Flexwarm® is unlike any heating technology on Earth.  Over the last 6 years, our engineers have been researching and developing patented new technologies that have enabled us to create a unique, ultra-thin (0.5mm) printable heating element. 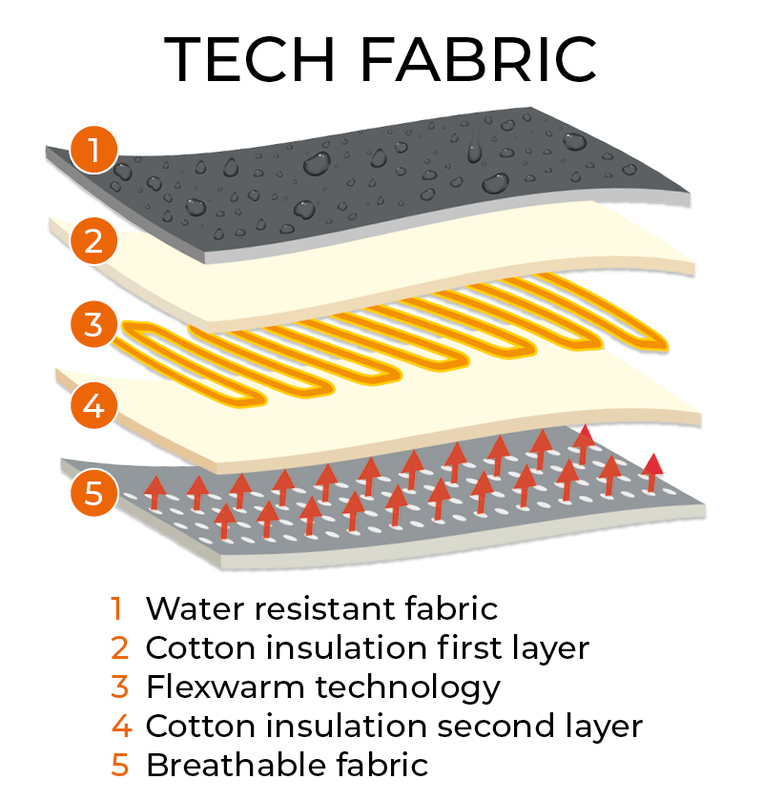 Flexwarm® is printed and layered between the inner and outer layers of fabric to create 3 fully controllable heating zones, enabling 8K to design a collection of intelligently designed, ultra-lightweight outerwear. 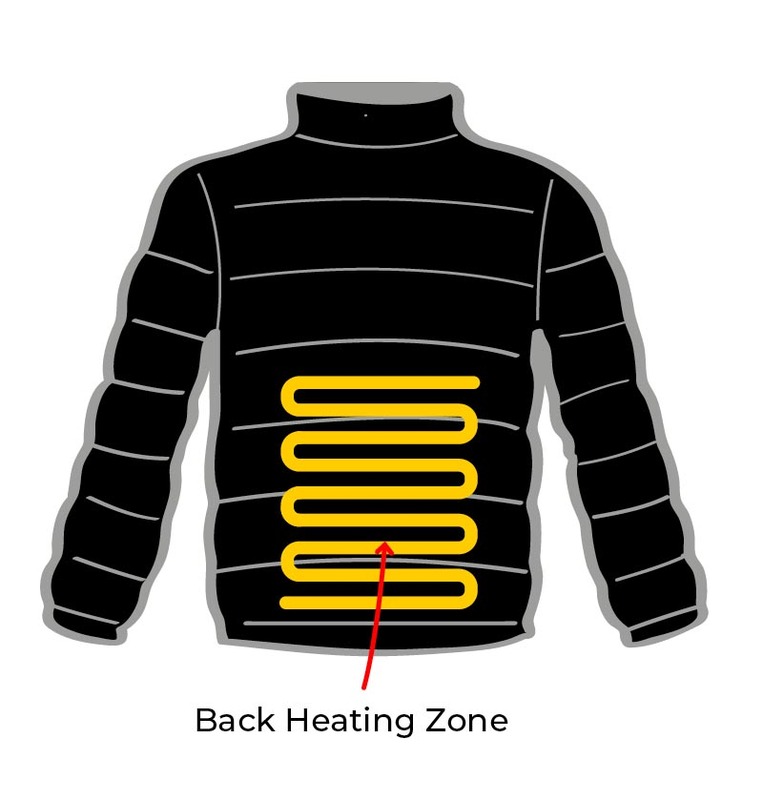 Our collection of revolutionary heated apparel is durable and washable, without compromising on warmth and ensuring optimum body heat is retained, creating a completely new experience when worn.  Adaptive sensor technology (AST) is one of our most significant features, while carbon fibre is unable to detect and control temperature accurately (as it has no sensors inside).  Flexwarm® adapts to your environment. 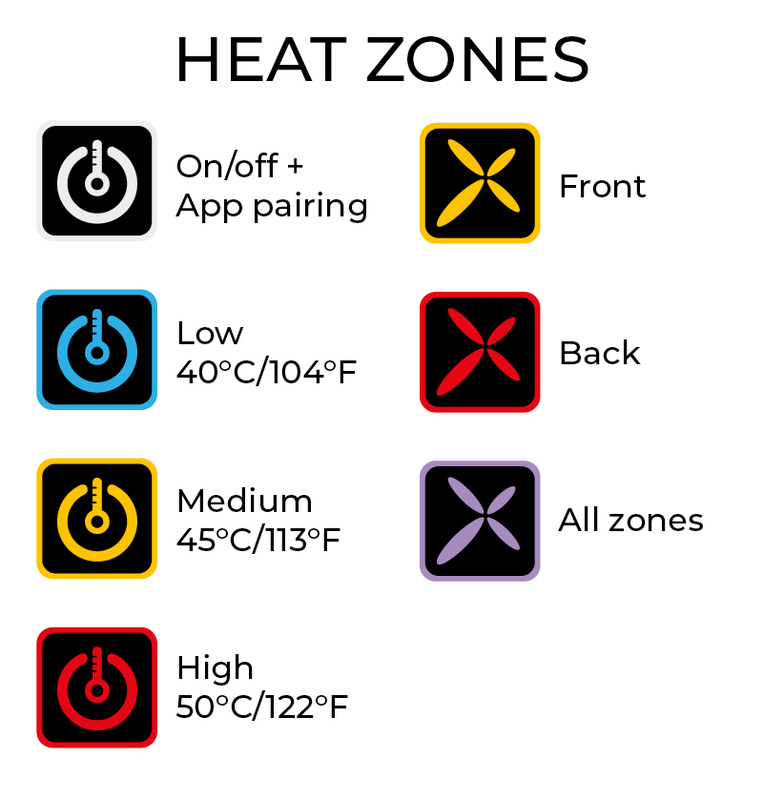 Ensuring that our apparel is always at the optimum level of warmth for your body. 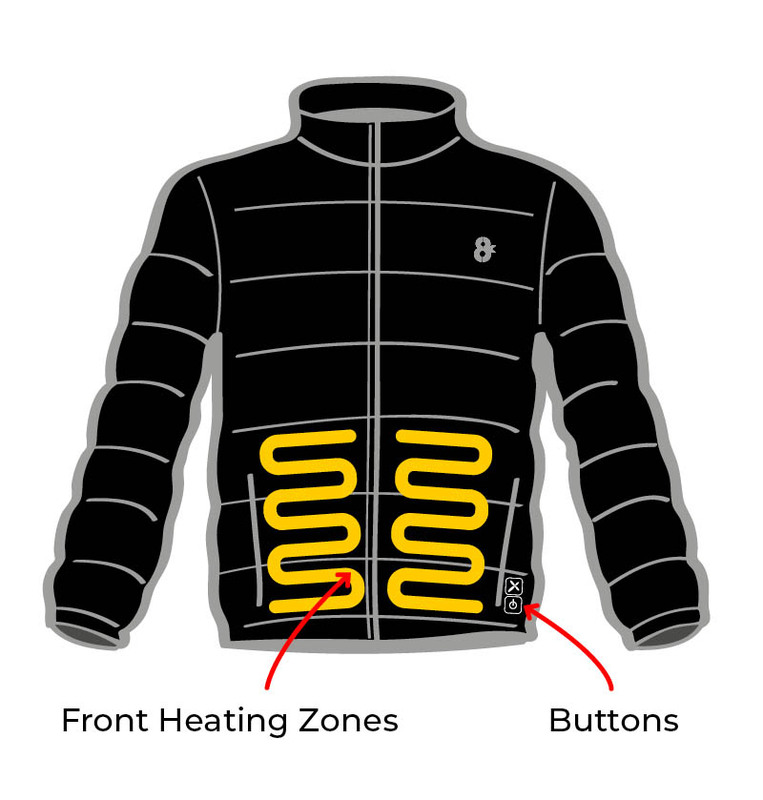 Designed and developed in Europe, our heated jackets use the highest grade fabrics and materials, providing the perfect balance of warmth, weight and modern style.    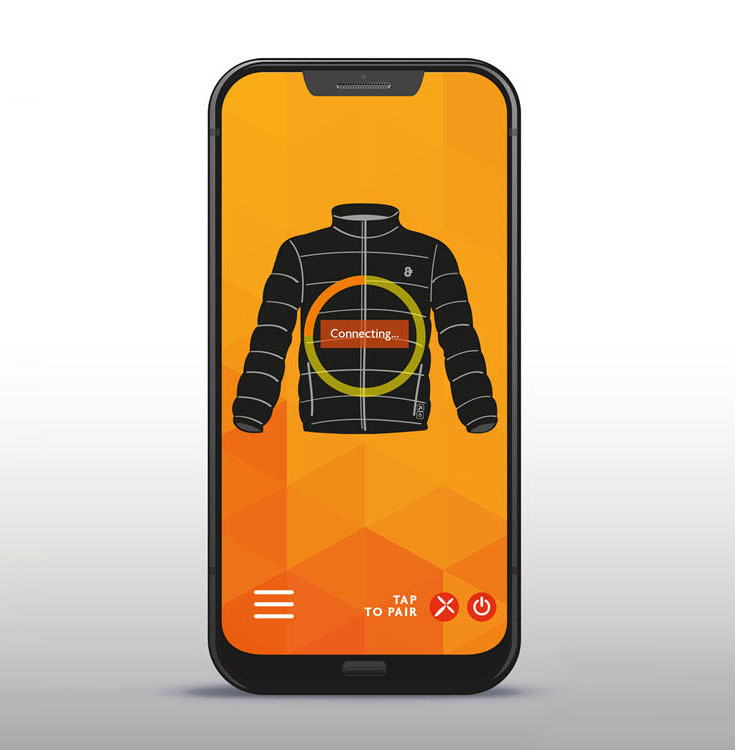 Our Powered by Flexwarm® app allows you to easily connect your smartphone to your jacket or gilet via Bluetooth, delivering the ability to set your perfect temperature in seconds.